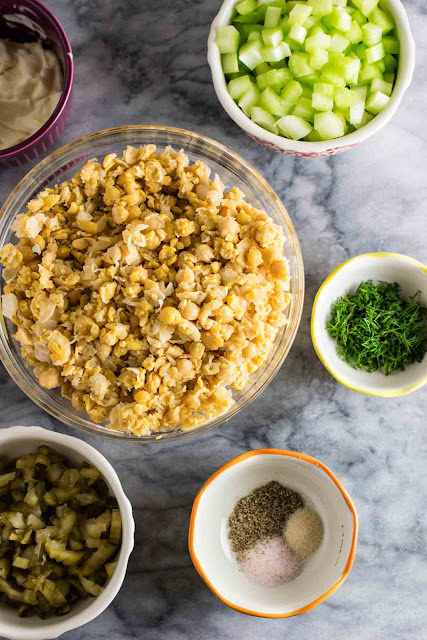 A meatless alternative to chicken salad full of flavor and made with wholesome simple ingredients. 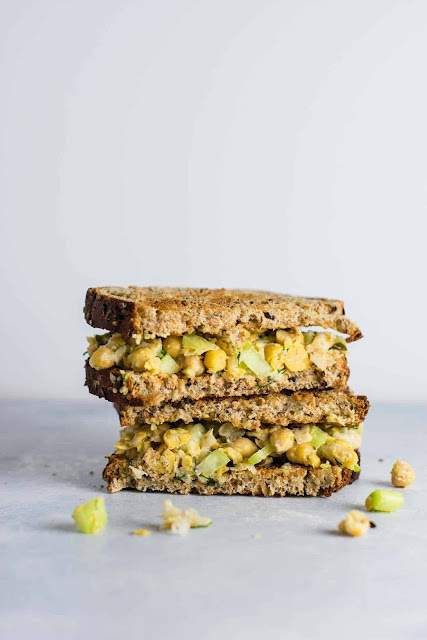 This smashed chickpea salad sandwich has become such a favorite of ours over the years and it is so easy to make. 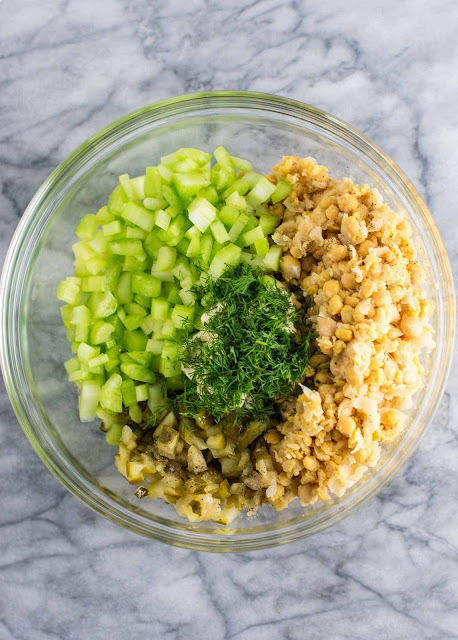 Whether you are a vegan, vegetarian, or just looking to try a delicious meatless lunch, this recipe is a great one! This recipe is just 9 ingredients, vegan, and packed full of flavor. It’s so simple and always tastes great! Vegan chickpea salad sandwich recipe made with less than 10 ingredients. The perfect vegan meal prep recipe! Serve with lettuce, avocado, or toppings of choice.